The second-generation Giulietta was built between 1977 and 1985. TURIN -- Alfa Romeo has decided to pull the Milano name from its replacement for the 147 because of an ongoing rift between the automaker and its current and former Milan-based workers. It's likely the car will be called the Giulietta instead, sources close to the matter told Automotive News Europe. Alfa workers in the area around Milan (Milano in Italian) are upset that Alfa owner Fiat S.p.A. planned to use the city's name on a car that would arrive as Alfa was shutting down its operations in the area where it was founded 99 years ago. About two decades ago Alfa employed almost 20,000 people in and around the city of Milan. Since Fiat acquired the automaker in 1986, it has been slowly uprooting the automaker from its birthplace. It stopped production in the Milan area in 2000. Fiat's name-change decision came in a chaotic on Friday. In the morning the media received a release from Fiat's Turin headquarters saying the company would reveal the name and the first official pictures of the 147's successor on Monday, November 30. It was well known in that the car would be called the Milano. A second media alert, issued at 18:21 on Friday, warned that due to “organization matters” the release of the pictures was postponed to an unspecified date. The decision left some monthly magazines scrambling as they had already received pictures of the car, which was badged the Milano. 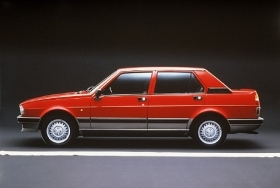 If the new 147 becomes the Giulietta it will be the third time Alfa uses that name on a model. 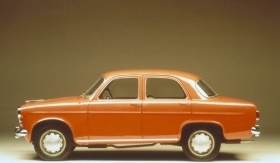 Alfa produced the first-generation Giulietta as a sedan and coupe between 1954 and 1965. The second generation, a sedan only, was built between 1977 and 1985. Alfa produced the first-generation Giulietta as a sedan and coupe between 1954 and 1965. This is the second time in the 21th century that Fiat has had to change a model's name at the last minute. In early 2003, Fiat decided to call the Panda minicar's successor the Gingo. The planned changed after Renault threatened to sue Fiat because the French automaker felt Gingo was too close to the name it used on its minicar – Twingo – which is one of the Panda's toughest rivals. Keeping the Panda name turned out to be a great move for Fiat. Since winning the European Car of the Year award in 2004, the Panda has been the region's best-selling minicar. Helped by government-sponsored scrapping incentives that offer people subsidies to trade in older, less fuel-efficient models for newer, cleaner cars, the Panda is on track for it best sales year ever. It is very rare that a car that has been on the market for six years can maintain such high sales. The typical life cycle is six years and sales usually start to decline rapidly starting in year five. Production of the car is up 15 percent to 251,360 units from January to October, according to figures from J.D. Power Automotive Forecasting.